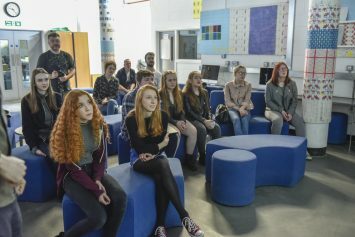 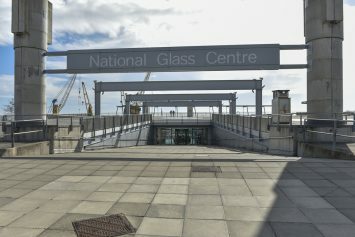 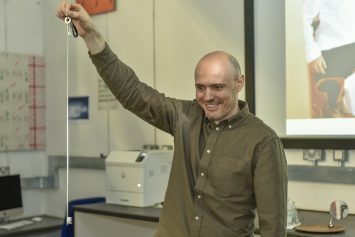 The National Glass Centre, University of Sunderland’s Masterclass with designer and inventor Dominic Wilcox began with a relaxed and humorous introduction, in which Dominic spoke about his academic background and his projects, including his “Little Inventors” project for children, then gave the young people a three- minute exercise: to create a character for whom they would design an invention to change or improve their life. 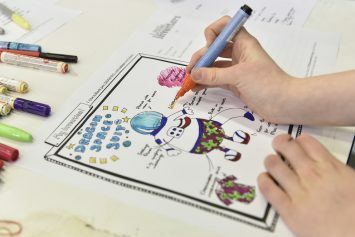 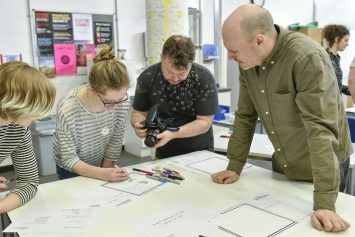 Their profiles complete, the group drew out their inventions in black felt-tip pen, adding labels and colour, then had the option to work on their own or in a group in order to create as much of a working prototype as possible. 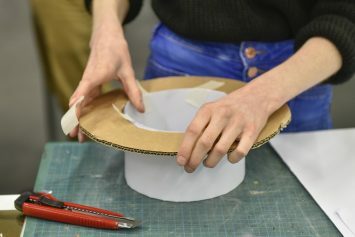 Materials to hand included cardboard, chicken wire, foil, coloured paper, split-pins, metallic card, straws, pipe cleaners, tissue paper, glue, paint and tape. 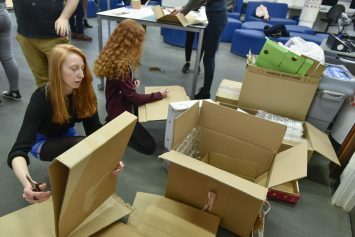 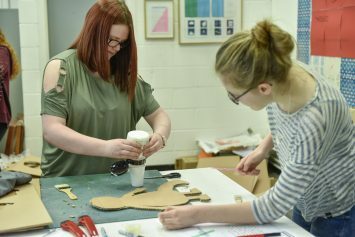 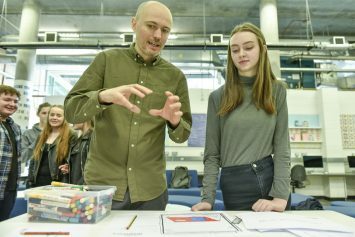 Among the amazing prototypes produced – which were presented at the end – were a hat for maths homework that included a calculator and a biscuit- feeding device, and an adult-repellant tree-house filled with cats.